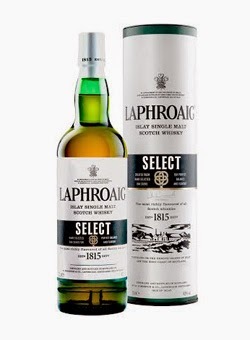 The Select is the latest addition to the famous Islay distillery of Laphroaig's core range. Laphroaig is well known for its very peaty and smoky style of single malts and the Select will sit alongside the classic 10 years old, Quarter Cask, Triple Wood and 18 years old expressions. The whiskies used to create the Select have been selected by Laphroaig's Master Distiller John Campbell and come from a number of different American and European oak cask types. However, the main difference in this release is the use of new American oak casks in the final maturation. 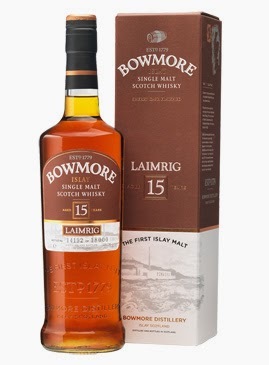 This whisky is the latest of Bowmore's Laimrig releases. The Laimrig first appeared in 2009 as an exclusive for Sweden and has been released in annual limited batches ever since. The name translates as 'pier' from Gaelic and refers to the stone pier of Bowmore harbour, which is next to the distillery on the shores of Loch Indaal. The Laimrig batches are bottled at cask strength and are predominantly aged in ex-bourbon casks, before being finished for about a year in ex-Oloroso sherry butts. 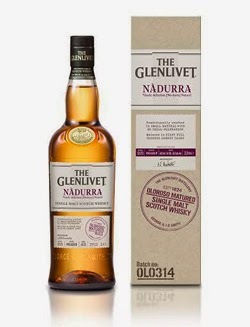 The Nàdurra Oloroso is the latest new release from the famous Glenlivet distillery. The release follows plans that were recently announced to create a range of their popular and award-winning Nàdurra. The series will highlight the different types of casks used at the distillery. This new whisky has been solely matured in first fill ex-sherry casks and will join the original Nàdurra, which is matured solely in ex-bourbon casks. Other expressions will be released at later dates. Nàdurra means 'natural' in Gaelic. The Highland distillery of Knockdhu have released three new limited edition whiskies in their AnCnoc single malt range. The Peaty Collection marks a new chapter in anCnoc's history as they are the first smoky whiskies to be released by the brand. The distillery has been making peated spirit in very limited runs for the last 10 years or so. 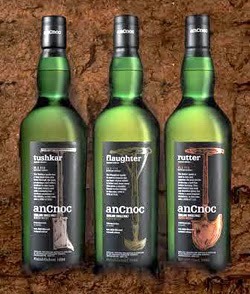 The Rutter, Flaughter and Tushkar expressions are all named after traditional tools used to cut peat. Being based in London and blogging about whisky definitely has its perks. Many companies, PR agencies and brands use the capital to launch their new whisky products or to hold events. We have benefited from this activity and we acknowledge that Whisky For Everyone has grown in to what it is today because of that. However, London is a long way from most of the world's whisky distilleries ... until recently that is. 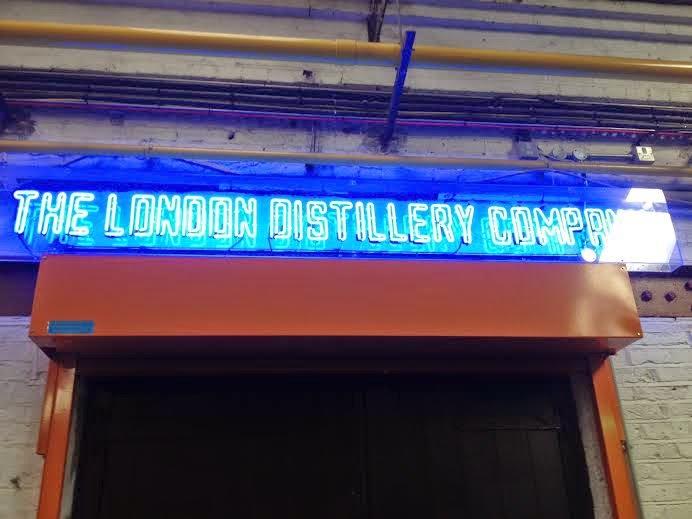 Therefore we were delighted when we were recently invited to pay The London Distillery Company a visit.